The shop where Danielle and I got our name chops had an extensive inventory of oriental brushes. 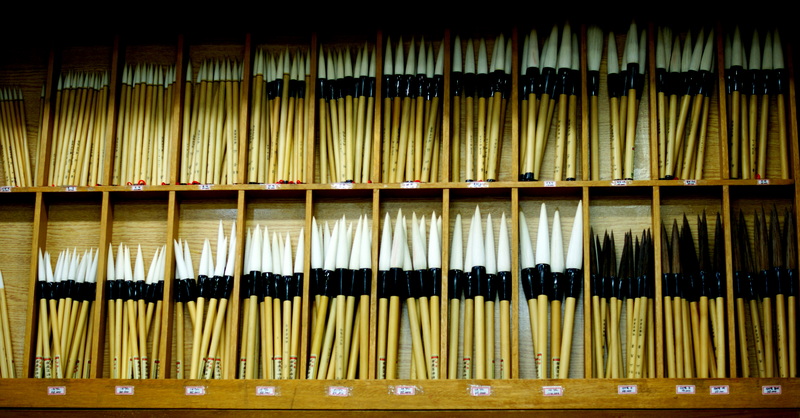 In fact, many shops lining the “main drag” in Insadong sell these brushes. They come in many shapes, sizes, and prices.